If you feel dizzy after standing up or getting out of bed, you might be affected by hypotension, or low blood pressure. Learn why it happens and what to do about it. if your systolic number is less than 90 or your diastolic number is less than 60, it would be considered low and you would be diagnosed as having hypotension. Hypertension, or high blood pressure, affects about 75 million adults in the U.S. and was the primary or contributing cause of death for 410,000 Americans in 2014, according to the Centers for Disease Control and Prevention. But what are the causes and effects of hypotension, or low blood pressure? Although not as common as hypertension, hypotension is also a potentially serious condition that affects both young and old, and—depending on the type you have—may cause serious complications or even death if not treated. 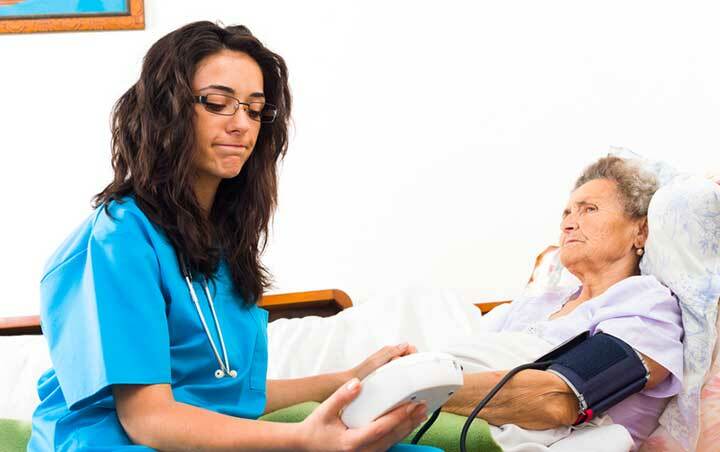 According to a study published in American Family Physician, 20 percent of patients over the age of 65 were diagnosed with hypotension in 2011, and for those with lengthy hospital stays or living in nursing homes, the risk of hypotension often increases. While hypotensive episodes often go unnoticed or resolve themselves quickly, the condition can negatively affect your daily activities, so it’s important to know why it’s happening and how its symptoms can be reduced or even eliminated. Blood pressure is the force of blood pushing against the walls of the arteries as the heart pumps out the blood. It is recorded as two numbers—the systolic pressure (the force generated as the heart beats or contracts) over the diastolic pressure (the force when the heart is relaxing between beats). The measurement is written with the systolic number on top and the diastolic number on the bottom. For example, blood pressure numbers expressed verbally as “120 over 80” would be written on a blood pressure chart as 120/80 mmHg (millimeters of mercury). Normal blood pressure numbers would be less than 120 mmHg systolic and less than 80 mmHg diastolic. But if your systolic number is less than 90 or your diastolic number is less than 60, it would be considered low and you would be diagnosed as having hypotension. Medications for Parkinson’s disease, depression and erectile dysfunction, as well as beta blockers, alpha blockers and water pills. Hypotension is often categorized into four types, depending on its cause. Those with no signs or symptoms are diagnosed with chronic asymptomatic hypotension, which often doesn’t require treatment. It is likely that they were born with low blood pressure, so their numbers are considered “normal” for them. Orthostatic: This type occurs when your body’s blood pressure and flow can’t adjust quickly enough to changes in your position. As a result, you may feel dizzy or faint after standing up. This type of hypotension can also occur after eating a meal, which is known as postprandial hypotension. Orthostatic hypotension can affect all ages, but older adults are more prone to this type. Neurally mediated: This type occurs when your blood pressure drops after standing for a long period of time or when you’re experiencing stress. This type of hypotension is more common in children and young adults and often improves as they get older. Severe: This type is related to shock, which occurs when your blood pressure drops low enough to prevent your vital organs from receiving enough blood. Major blood loss, infection, anaphylaxis, poisoning or severe burns can cause shock and immediate treatment is needed to avoid death. 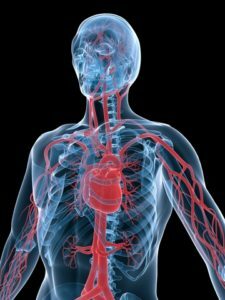 Valsalva Maneuver to test the part of your nervous system that controls your heartbeat and the narrowing and widening of your blood vessels. Tilt Table Test to check your reaction to changes in position. This is often given to people experiencing unexplained fainting spells. If you’re experiencing mild symptoms or no symptoms at all, your doctor might tell you that treatment isn’t necessary. However, if your symptoms are more severe, any underlying causes should be addressed. Move slowly when standing up. Eat small, low-carb meals to avoid the symptoms of postprandial hypotension. If you’re on bed rest, try sitting up for short periods of time. Wear compression stockings to increase blood circulation. Put your head between your knees while sitting down to alleviate symptoms. Your doctor may also prescribe medications, such as fludrocortisone, to raise your blood pressure or adjust your current prescriptions to relieve your symptoms. Eat a small meal before you exercise. Avoid any exercises that require your head to go below heart level. Change positions slowly and avoid exercise routines that require quick postural changes, such as yoga. Stay hydrated with water or sports drinks containing electrolytes. Take time to warm up and cool down so that your heart rate increases and decreases gradually. Monitor your blood pressure before and after your workout and report any concerns to your doctor. addison s disease, alcohol, allergic reactions, alpha blockers, anemia, b12, beta blockers, blood pressure, blood pressure chart, blood sugar, bradycardia, children, dehydration, depression, diabetes, diet, digestion, dizziness, dizzy, erectile, erectile dysfunction, exercise, exercise routines, faint, folate, heart attack, heart failure, heart problems, high blood pressure, hypertension, hypotension, infection, low blood pressure, low blood sugar, low heart rate, mercury, normal blood pressure numbers, nutrients, parkinson s disease, report, shortness of breath, strength, stress, stress test, stressful situations, sugar, vitamin, vitamin b12.